NEXIA SAB&T is a majority black owned Accounting, Audit and Consulting services firm that has been operating since 1994. The firms head office is based in Centurion, Gauteng with 10 offices in all 9 provinces. Nexia SAB&T remains one of the few black auditing firms that survived the harsh realities of the post-apartheid era. The role that black economic empowerment has played in the past 24 years has provided the firm with immense opportunities to develop, and provided training opportunities for many black people. Through strategic alliances and a merger with Indyebo Inc., the firm has grown from strength to strength and is currently ranked as one of the leading black empowered firms as well as one of the top ten audit firms in South Africa. Nexia SAB&T belong to an international network. Membership to the Nexia global network, gives the firm access to the international best practice and global partners where there is an exchange of ideas and opportunities. Nexia International has over 250 network firms operating in at least 115 countries with 651 offices. Our CEO, Bashier Adam, sits on the Board of Nexia International which well positions us to get access into the network to bring the required global solutions. The South African Professional Services Academy spoke to the Director: Consulting and Internal Audit, Ayisha Ramasike about her personal and professional journey thus far. Ayisha has experience in external, internal audit, risk management and consulting. Her experience is mostly in the public sector although she has done work in the private sector. She has been with Nexia SAB&T since January 2018 and was previously Director and CEO designate at Rakoma & Associates, a firm where she completed her articles and gained vast knowledge from the exposure to different types of projects. She has 19 years of experience of which 12 years thereof are within the auditing profession. She worked at the AGSA for a period of 2 years and was part of an organization that continually strove to enhance public confidence. She also worked in a financial position at a global leading industrial company, where she had exposure to other countries within Africa. Joining Nexia SAB&T has given her exposure to a firm that is growing and making inroads into various markets that have previously been exclusively for the Big Four firms. The diversity of the firms adds to its success as all demographics are represented and opportunities to learn and grow are endless. Qualifying as a Chartered Accountant is my standout achievement. I studied my undergraduate whilst working at Standard Bank where I initially started as a teller and progressed through the ranks to Head of Support Services. I left the bank when I completed my undergraduate to start my articles and pursue my Honours Degree (CTA). Once passing my CTA I struggled with my Part 1 Qualifying Exam. After numerous attempts I eventually passed but must acknowledge the SAICA Thuthuka Programme which was a major contributor to my eventual accomplishment. Qualifying as a Chartered Accountant required a lot of sacrifices including a period where I had to leave my family and pursue an opportunity at the AGSA in Kimberley in the Northern Cape. The AGSA through its people and study-oriented policies added to my success as a CA (SA). This qualification served as a catalyst in my career which saw me climb the corporate ladder through various promotions I was promoted to Partner at Rakoma & Associates in 2014 and was appointed as their CEO – designate in 2016. Have you had any challenges as a woman professional that you think differ from your male counterparts? How have you tackled them? 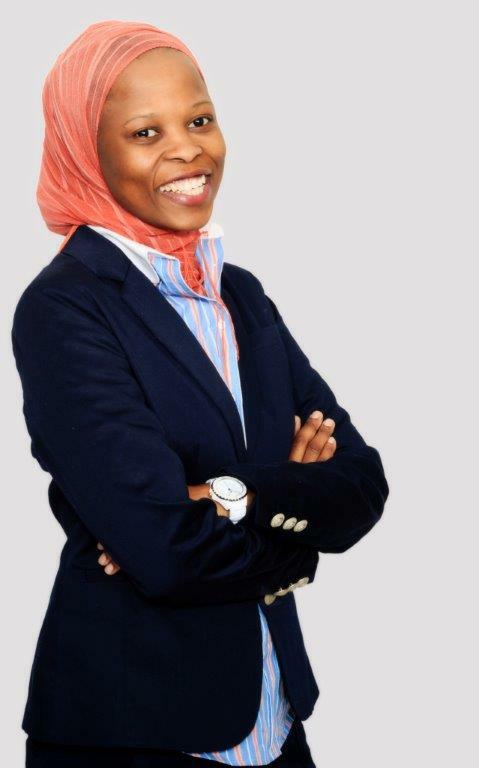 Women professionals tend to be boxed through stereotypes and unconscious biases, they are thought to all think and behave in a certain way, particularly because I am a visible Black Muslim woman in hijab (scarf). I have never wanted to believe that starting to wear a hijab would have an impact on people’s perceptions of me as an individual, mainly because ignorance is bliss and because I thought I am part of a time that knows better than to discriminate. I have used instances where I experience discrimination as opportunities to teach and enlighten people about embracing diversity and understanding that I am human just like them. It has also worked to my advantage because I have become distinguishable. There is also a bias that we think with our hearts. We are innately nurturing and have natural empathy that enables us to be well attuned to people and their needs. These characteristics contribute to us being perceptive and compassionate leaders. Finding my way through what I refer to as ‘The Boys Club’. This has been a reflection that the corporate working environment is still based on the patriarchal model. This also brings with it the power dynamics which sometimes results in unintended objectification of women. I have realised that the ‘Boy’s Club’ is based on the concept of camaraderie. Through an introduction of numerous initiatives and engagement with female colleagues, we have identified ways that empower us to focus on our strengths and create an alliance where we would be able to support each other. This also creates a platform where women can share their experiences and become part of a community of powerful and affirmed female leaders. Our male counterparts also need to be empowered because we all need to own empowerment. It cannot only be seen as a responsibility to be achieved by the firm. Empowered employees treat each other with respect and are accountable for their actions. I have identified that work life balance is non-existent and that it is all about finding ways of integrating work into your life. It is a challenge for women to achieve this as the demands of work sometimes conflict with the relational factors of family life. We need to identify what our goals are, prioritise and understand the benefits and challenges of the decisions we make. We need to always clarify who we authentically are within the working environment and in our personal spaces. This will make it easier for us to be our best selves at work and at home. The flexibility of the working environment at Nexia SAB&T has enable me to integrate work into my life and spend more time with my family and doing the things that I love. Be respectful to everyone, no matter their rank and to treat people as you would like to be treated. Employees who feel valued and part of the company are productive and efficient. I always seek to learn from others and treat every failure as an opportunity to learn. I always strive to be a better version of myself every day. I apply reflective leadership, where we all hold each other accountable. I am always striving to be heart – led leader where I measure my success through the impact the organization makes on people’s live. I believe that if we love what we do and who we do it for, it is hard not to produce extraordinary results. What are you passionate about and what keeps you awake at night? I am passionate about creating a work environment that will enable all our employees to thrive. Always finding a way to help those that are less fortunate than us. I grew up deprived and know what it feels like to struggle with basic necessities. I also worry about our education system and how we are not creating a system that will create leaders who will be scientists, innovators and solutionist thinkers. There are lessons to be learned from China Inc. They started a journey of change in their education system on the ethos of “Orientation towards the Modernization, Orientation towards the Future, and Orientation towards the World. We are a society who has not taken the time to truly learn from each other and I am believer of promoting and embracing diversity. Nexia SAB&T is truly a diverse organisation representative of the demographics of South Africa, the importance of understanding and embracing our diversity enables us to create an atmosphere where people are open to different viewpoints and ideas. It also allows us to be empathetic towards each other. I also worry that we are not doing enough to adequately occupy the times of our children. They have a lot of idle time and the brain should never idle. “‘An idle mind is the devil’s workshop”. I am at the concept stages of trying to come up with creative initiatives that will fill our children’s minds mostly during the weekends. To understand that in order to strive, there needs to be an element of sacrifice and hardwork. To find mentors and coaches that will help them in their journey. We need people who can be our sounding boards and will helping us sort out options and giving advice on matters affecting us in the workplace. To have enquiring minds, seek knowledge and be competent at what they do. Our clients appreciate the services we provide to them when we are sincere and are competent at what we do. To understand that failure is an opportunity to try again and improve at anything they attempt. This is important especially since they will be starting as Trainees. They need to use the opportunity to learn as much as they can. To be ambassadors of their own brands and to ensure that they bring their authentic selves. We have too many people wanting to be other people. The profession needs innovators and solutionist thinkers that will take the profession to the next level. How do you take part in mentorship at the firm? We understand the importance of mentorship and are finding creative ways to highlight its importance as it was not emphasized enough in the past. I am actively involved in redefining what mentorship should be at Nexia SAB&T in terms of getting inputs from our employees and creating an enabling environment for nurturing, coaching, learning & skills exchange. Mentorship is important and it shows management’s support, interest, and concern for the employees’ growth and potential with the firm. Employees are likely to be more productive and committed to the firm when they see that we as the leadership of the firm are committed to their development and are investing time and resources. Being part of the Development Programme and Equity and Transformation Committee when I was at Standard Bank. It was humbling to be part of a committee that was pushing for change. Joining Nexia SAB&T as a director has afforded me an opportunity to be in medium sized firm that is more than double the size of my previous firm. My role has potential for growth and there are many opportunities to make a meaningful contribution. Being previously appointed as the CEO designate afforded me the opportunity to grow the bottom line and implement processes that overall improved employee wellbeing. This included a launch of a new rewards programme to identify and celebrate staff performance as well as introducing creative and cost effective ways of internally training and developing staff. The professional code of ethics sums up the principles that we as professionals need to live by. The key principles being integrity and objectivity as these are the most tested principles in all our everyday interactions. In the wake of the Steinhoff and the VBS Saga, to name a few, professionals are required to adhere to these principles to ensure that we perform our work with the utmost objectivity, independence and integrity. Teamwork – Be a team player and value your colleague’s contributions. Being Dependable – To be someone who takes responsibility and be able to get things done. Respect others – Treat people the same way you would like to be treated. Positive attitude – Complain less and work at finding solutions to problems you encounter. Always be willing to go the extra mile. It’s been about 9 months since I joined the company and spent the initial months getting to understand the culture of the firm. I must admit I am enjoying the energy within the organisation and have been co-opted onto various governance structures within the organisation where my inputs and contributions are valued. I don’t believe that a person could only ever have one role model. So many people at some stage in my life were role models as I looked up to them and they helped me navigate through life. My mother is my timeless role model. She overcame so many personal challenges including being a single parent and raising 4 children. She was selfless and through all the hardships she faced, she was also able to take care of our relatives and any person who needed help. Our home was a safe haven open to anyone who was in need. I look back and am amazed by how the little space we had was able to accommodate so many of us. She made sure that we grew up as Muslims even through the challenging times we faced growing up in Soweto. She was a hard worker and believed that we must earn everything we have in life. She was a shop steward and stood for the rights of her fellow colleagues. With the little education she had, she was able to stand up to her employer and brought about changes in her workplace. Through all this I have learnt to work hard, never to give up and to always trust in the wisdom of the Almighty. I still have a couple of years to go here at Nexia SAB&T and see myself growing within the firm and making meaningful contributions. Time flies by so quickly and the tenure at the firm at director level averages around 5 to 10 years. I seem myself occupying both executive and non-executive positions where I will be adding value through my skills and experiences. This will also include foundations and non-profit organisations. I also want to focus my time in working on programmes that will be uplifting the youth with a focus on the young girls. Having grown up with a single parent, I understand the value of having meaningful activities to keep our children occupied. There are too many things going wrong with our children and they need to find focus and meaningful causes worth living for. Nexia SAB&T has the ideal platforms for me to pursue these initiatives and I believe that they provide me with the support and infrastructure to achieve such. When you not at work, what do you get up including family, where can people follow you online? I love the outdoors, particularly hiking with my family, I also take part in a few running races. I am involved in quite a number charity organisation to improve the quality of life of people in our needy communities. I am currently not as active as I would like to be on social media but you can find me on Facebook, LinkedIn and Twitter (@ayisha_ram).